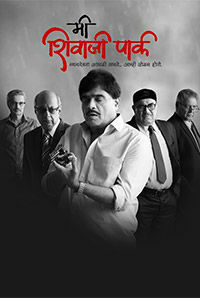 Sharad Ponkshe is an Indian actor who works predominantly in the Marathi film, theater and television industry. He joined a drama school in Mumbai right after his higher secondary education. He was part of the hit Marathi TV show Damini. He was appreciated on his acting skills and this helped him get roles in Marathi movies. Apart from Marathi he has also acted in Bollywood movies. His popular acting credits include movies like Satvapariksha (1998), Black Friday (2004), Gadhvache Lagna (2007), Tukaram (2012), Dekh Tamasha Dekh (2014), Black Home (2015), Sandook (2015) and Mokla Shwas (2016). Sharad is immensely popular for playing Nathuram Godse twice. His first tryst with playing Godse came in the play Me Nathuram Godse Boltoy. The play is very popular and has also come under a lot of criticism for its content. He later played the same character in the Kamal Hassan movie Hey Ram (2000). In 2017's Marathi horror movie Kanika, Sharad Ponkshe will be starring alongside Smita Shewale, Chaitrali Gupte, Kamlakar Saatpute, Aananda Karekar and Falguni Rajni. The movie is directed by Sandeep Manohar and Pushkar Manohar.He is associated with the upcoming 2017 movie FU: Friendship Unlimited directed by Mahesh Majrekar alongside Akash Thosar and Sanskruti Balgude. He is also associated with the 2017 movie Chhand Priticha directed by N. Relekar. His 2018 releases include Raja and Me Shivaji Park. His 2019 release includes Ek Nirnay...Swatahacha Swatasathi, directed by Shrirang Deshmukh.